The 2019 LIC is an annual all-day conference featuring original scholarsip and creative works that deal with Latino/a/x/issues and Latin American Studies. The conference keynote and lunch is scheduled for 11:30am-1:30pm in the BTSU Lenhart Grand Ballroom. This year's keynote speaker is Ariana Brown. 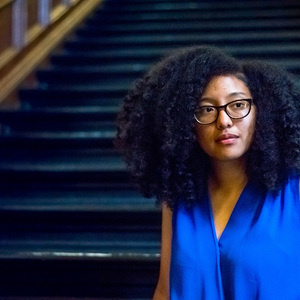 She is a Black Mexican-American poet raised in a working class community in San Antonio, Texas. As a poet, she has also been dubbed a "part-time curandera" (or part-time healer). She has also received two Academy of American Poets Prizes and is a 2014 Collegiate National Poetry Slam Champion. Her work has been featured in journals, including Nepantla, Muzzle, African Voices, Borderlands: Texas Poetry Review and iMantecal! : an Anthology of Afro-Latin@ Poets from Arte Publico Press. Her most recent publication in 2016, is messy girl, a chapbook of poems.